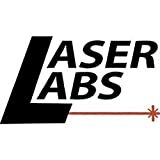 A third the size of the TM200/TM400/Inspector and a fifth the weight, the Inspector II has the same features, auto-calibration, and proven accuracy of all Laser Labs, Inc. products. It works on all windows up to half an inch thick. Perfect for inspection stations. 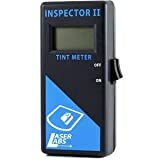 Good quality tint meter that will fit in your pocket. Easy to bring with you as you walk up to vehicles on traffic stops. Since it has two pieces, you can check any window on the car.